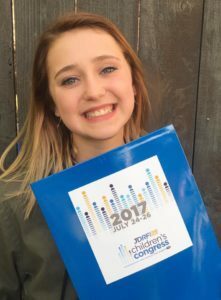 I’m thrilled to travel alongside my daughter, Anya, to the JDRF Children’s Congress in Washington, D.C. She’s working to increase awareness throughout the nation about Type 1 Diabetes (T1D) and asking Congress to support more funding for research into this horrible disease. She’s such a warrior and has embraced her disease with the passion and energy that’s indicative of a true leader. She was chosen among thousands of entries to attend this meeting in the Capital and I couldn’t be more proud. 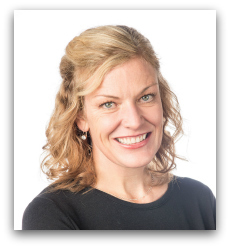 When she was first diagnosed, we were completely unaware of T1D and its complexities. We had enormous fear and little understanding of how to proceed. After all we’ve been through and on the eve of this important trip, I’m writing to let you know that we are beyond grateful for the expertise and compassion of our COPA doctors. They’ve helped us from the beginning and throughout this journey. When we moved to Bend in 2005, Anya was 3 years old and I was pregnant with Seth, her brother. Anya had struggled with repeated respiratory illness the last few years but was overall healthy. During our first week in Bend, Anya became ill with a high fever and ear infection. We didn’t have a pediatrician yet or even an insurance card! The only clinic that would take her was COPA, and we saw Dr. Erin Garza. After meeting Dr. Garza, I knew she would be our pediatrician. Dr. Garza understood my cloth diapering, breastfeeding, homemade baby food ways. She also quickly assessed that Anya had asthma…the asthma that no one else had caught. Dr. Garza was there for us as we learned how to care for Anya’s little lungs. Fast forward to 2007… In May, Anya started to drink significantly more fluids and go frequently to the bathroom. One Sunday night Anya was watching a movie and had to stop a half dozen times to pee. She went to bed that night around 8:30 pm. She woke up an hour later having soaked her bed. Anya never wet the bed. She went to the bathroom again and drank another 32 oz of water….and peed again. Her tummy hurt. I called the 24-Hour COPA Nurse Advice Line and Message Service. I planned to speak with a nurse and ask for an early morning appointment for some antibiotics, because I thought she had a bladder infection. After the discussion, Dr. Valerie Bailie, of COPA called me back immediately as she was already in the St. Charles Emergency Room on another matter and urged me to bring Anya into ER right away. I’ll never forget what I said. “Dr. Bailie, it’s 10 o’clock and after her bedtime. I’ll come first thing in the morning.” Dr. Bailie said, “No, do not wait. Bring her in right now!” As we left I told my husband, Paul, I’d be back in an hour or two. That wasn’t going to happen. Dr Bailie had people waiting for us at the door to the ER. It took them less than 10 minutes to give me her diagnosis. 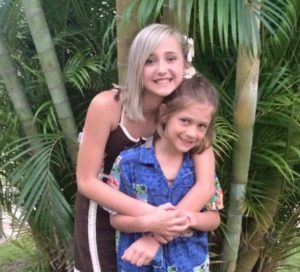 Anya had Type 1 Diabetes and was extremely ill. They needed to get her on an IV immediately and we would not be leaving. It was such a whirlwind. I now know that the first blood test showed her bg to be >1000. A normal bg is 80-120. 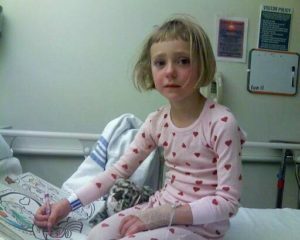 The date was May 20, 2007 – our T1D Diagnosis Day and Anya was 5 years old. As my children have grown, Drs. Bailie and Garza have been incredible pediatricians for both my kids. Anya has now accumulated a little collection of auto immune challenges that adds quite a bit to her chart. In spite of the complexities in her healthcare, these two doctors have been supportive every step of our journey, from the beginning of her diagnosis through today. I am grateful every day for Dr. Bailie saving my daughter’s life. My saying thank you can never be enough. When we were discharged from the hospital we were given the home and cell number for our primary doctor, Dr. Garza. We called her at every meal and through the night during the first week when monitoring Anya’s counts. 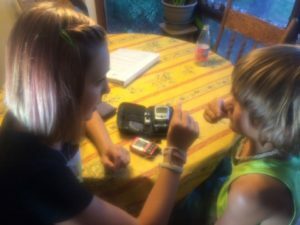 At the time we didn’t know this was just the beginning of a lifetime of glucose monitoring, trips to specialists, setbacks and frightening episodes. Through all of that, Anya’s COPA doctors have been there for us. Aside from diagnoses, exams and prescriptions I have to remark on how our doctors have treated both Anya and Seth. Both women have taught my children about their bodies and their responsibilities for their own health. My kids are confident and secure in their personal space. This has been significant for Anya as she has had so many interactions with different doctors and specialists. My little girl is now 15 and has grown into a true leader in the fight to support children with Type 1 Diabetes by volunteering her time to help others, and participating in non-profit events that benefit the cause. Anya’s brother, Seth, is supportive in every way. He has learned how to do everything…. infusions, test blood, use pump… he knows that sometimes she needs help and that means he may have to be in charge.They are both filled with a passion for life, love, and a courageous spirit that inspires others. They also know that every day is a precious gift. 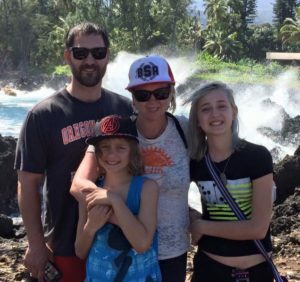 We carry on understanding our road is a challenging one with T1D, but it’s impossible to imagine where our family would be today without our COPA doctors. From us to you, a big THANK YOU! Pictured: Paul and Meg Rozek with Seth and Anya Rozek.